Coworkers: Prof. dr. Damjan Zazula, Assoc. Prof. Dr. Božidar Potočnik, Asst. Prof. Dr. Danilo Korže, Dr. Boris Cigale, Dr. Vojko Glaser, Martin Šavc, B.Sc., Jurij Munda, B.Sc. Ageing population and limited healthcare budgets call for new paradigms and more efficient healthcare and medical services. Within this research project, we are dealing with unobtrusive observations of human vital functions by using intelligent sensors and video devices. 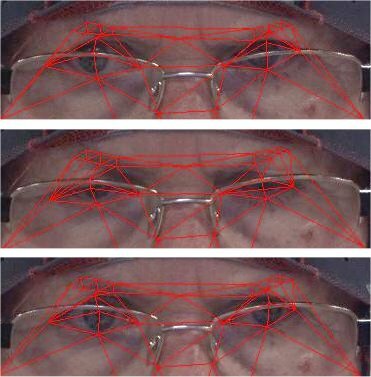 Sensor measurements are combined with the information extracted from the videos in order to determine the aptness of observed person for independent living. Muscle atrophy is a well-known phenomenon that defines the loss of muscle mass as a result of illness or injury, unbalanced diet or lack of physical activity. Despite the growing number of researches exploring the findings of muscle atrophy and analyzing its implications, there are still many unresolved issues, especially in terms of objective indicators, methods and procedures of its assessment. The main objective of this project is to define and develop non-invasive procedures for assessment of skeletal muscle atrophy and hypertrophy based on the mechanical response thickening, movement and vibration of muscle fibbers as well as neuromuscular electrical activity. 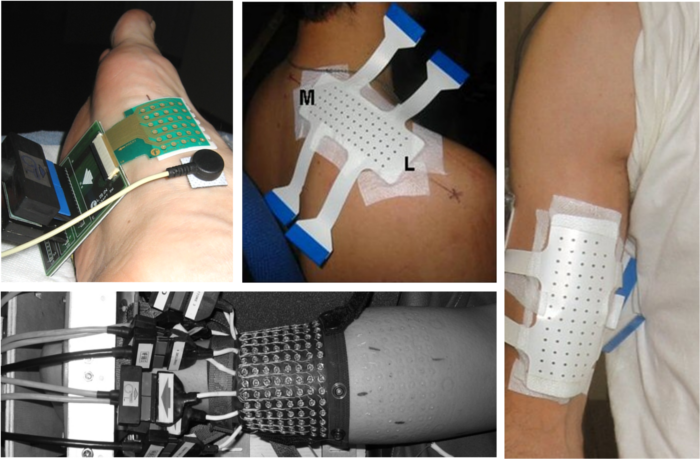 The qFATIGUE project deals with multimodal biofeedback interface for extraction of mental fatigue indicators. 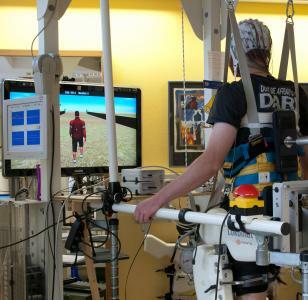 It stems from the video and EEG-based monitoring of rehabilitation patients during their daily exercise, in order to improve the understanding and assessment of motivation during rehabilitation. A joint project entitled Connected Home Devices in Support of Independent and Healthy Living was completed within the framework of the Competence Centre of Biomedical Engineering (CC BME). 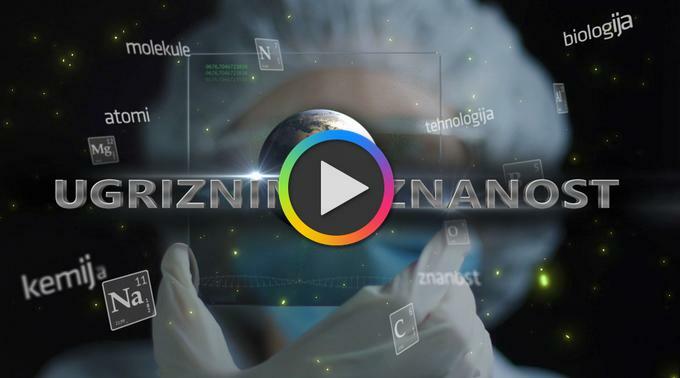 Our research partners were the Gorenje company from Velenje, University Rehabilitation Institute Soča and as a subcontractor the SETCCE company from Ljubljana. The project goal was a development of unobtrusive, ambient-assisted sensors for monitoring functional-health parameters in dwelling environments. The sensors are built in household appliances, their handles, doorknobs, bathroom mirrors, beds, carpets, slippers. Automated measurements and analyses are provided for the heartbeat, cardiac arrhythmias, electrocardiogram, respiration curve, blood oxygenation and pressure, skin and cornea colour, stabilogram and poise, gait and physical condition. Impaired walking ability makes stroke patients more susceptible to injury and significantly affects their quality of life. Currently, most promising interventions to restore walking function are based on robotic systems that intend to restore function by focusing on actions at periphery of the body (a BOTTOM-UP approach). It is not clear how effective these treatments are and a major problem is patient's non-compliance. The main goals of BETTER project are to improve stroke rehabilitation with the robotic gait trainers that exert physical stimulation of lower limbs as a function of targeted neural activation patterns. The latter are assessed by advanced Brain/Neural Computer Interfaces (BNCI). This TOP-DOWN therapeutic treatment encourages reorganisation of the affected brain structures to improve motor functions. The main objectives of the iMOVE project were to design automated signal processing techniques capable of extracting individual motor unit firing patterns from dynamic surface electromyograms. The latter were recorded during controlled dynamic contractions of skeletal muscles in order to study the feasibility, efficiency and repeatability of motor unit assessment during movements. Tremor is the most common movement disorder and it is strongly increasing in incidence and prevalence with ageing. It is typically managed by means of drugs, surgery and deep brain stimulation, but treatments are not effective in approximately 25% of patients. 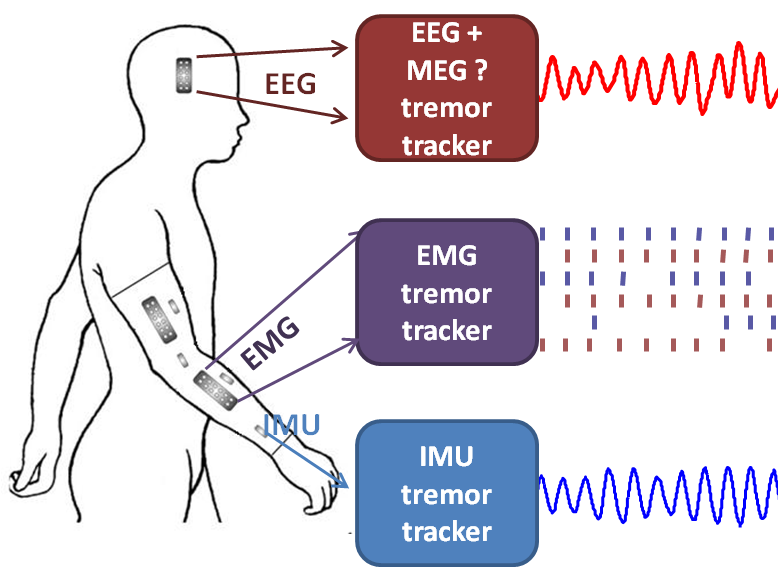 The main objective of the TREMOR project is to validate, technically, functionally and clinically, the concept of mechanical suppression of pathological tremor based on a BCI-driven (Brain-to-Computer Interaction) detection of involuntary (tremor) motor activity. 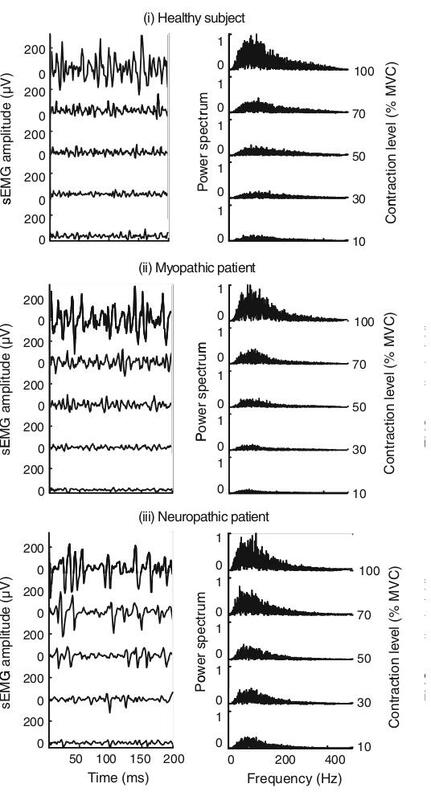 The extracted information is used to drive a biomechanical suppression of tremor through selective multichannel Functional Electrical Stimulation (FES). 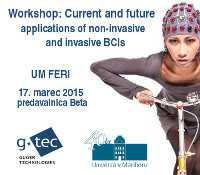 This joint project was conducted by the Faculty of Agriculture and Life Sciences and the Faculty of Electrical Engineering and Computer Science at Maribor. The main objective was a computer-based monitoring and forecast of fruit harvest. We investigated the fecundity of apples and pears, while the two species cover 72% of cultivable areas in Slovenia. Previous assessment deployed manual counting of fruits on smaller areas, which resulted in big differences between the forecast and actual harvest. The project development focused on an efficient, simple, and fast system for field data collection, and improvement of the methods and mathematical models of a harvest forecast. The System Software Laboratory took over the design of an application for field data collection, processing, and saving. In 2009, we developed a navigation subsystem that guides the user to the selected plantation is shortest possible way and time. It was implemented by a combination of mobile devices and central data storage. When data are collected by several users simultaneously, these are synchronised on-line by the central system. In 2010, all subsystems and their connections were tested in details. We studied accuracy of three GPS modules and their repeatability in re-tracing the same locations. The best trade-off was found in a mobile phone ASUS P565 whose accuracy manifested at about 10 meters. This was not enough to locate single trees, but was enough to position the rows of trees. The objective of this biannual bilateral project was to strengthen the bonds among the researchers at Maribor and Troyes in France and to conduct joint research in the field of surface electromyography. A young researcher, Rok Istenič, talked at the Technical University of Troyes about his investigations on the activity index and its deployment in multi-observational signal-source count. Researchers in Troyes explained the estimation of the number of sources by the probabilistic methods. 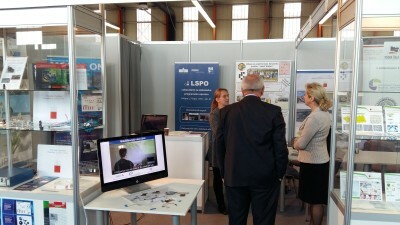 Also Prof. Damjan Zazula paid a visit to French partners during the exhibition of joint scientific achievements on the independent living in “City of Science”. Prof. David Hewson from the Technical University of Troyes visited the System Software Laboratory of Maribor in order to specify a joint research involving accelerometers in mobile phones and optic-fibre interferometers. Common research was performed during the visit of a young researcher, Sebastijan Šprager, at Troyes and the results were published in a few conference papers. 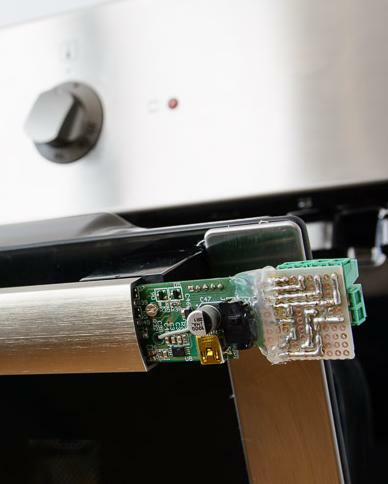 The Gorenje Company from Velenje developed a system of connected household appliances accessible via a computer server. Special communication protocols are used to check the status of appliances and to control their operation remotely. A mobile application was developed in the System Software Laboratory to communicate with the appliances by a mobile device. A demo follows that depicts such a remote control and setting of an oven by a mobile phone. The Henkel Slovenia company at Maribor was looking for a computer-assisted solution for detecting errors in their regular printed matters purchased at different printing companies. 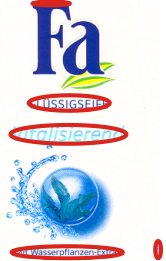 The errors and inferior-quality print on the product stickers and instructions were searched manually at that time. We developed a software application that compares the verified document with its referential image. In the first step, the two images are roughly registered by shifting their centres of gravity and a multiresolutional rotation. 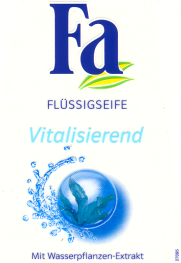 A fine, elastic registration is used afterwards to overlay the images as precisely as possible. Finally, pixel-based differences exceeding a statistically estimated threshold point out the locations where the verified printed matters differ from the reference. The developed application proved effective and accurate, nevertheless it was never used in production as Henkel was not willing to refund even a minimum amount of the development costs. From 2002 to 2003, the System Software Laboratory team participated in a research project of the 5th European Framework Programme. The main project goal was to develop a generic environment for bio-numeric simulations of human knees. Under the co-ordination of the NEC company from Germany, we joined the consortium in 2002. Our contributions tackled computer simulation models of the knees and their kinematics. Knees of several volunteers were scanned by magnetic resonance (MR) under different forces pressing against their feet. To measure the forces, a special non-metallic device had to be developed. An optic-fibre solution was found by the colleagues from the Electro-Optic and Sensory System Laboratory (Prof. Ddr. Denis Đonlagić, Dr. Edvard Cibula). 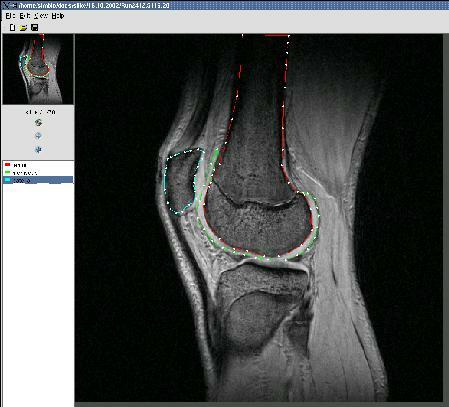 Our project partners from the University Medical Centre of Maribor (at that time, Teaching Hospital of Maribor) annotated the MR images with a special attention to menisci, cartilage, and cruciate ligaments. This was the basis for our 3D computer final-element models used later on for studying the knee kinematics under the different injuries and modifications of the menisci. 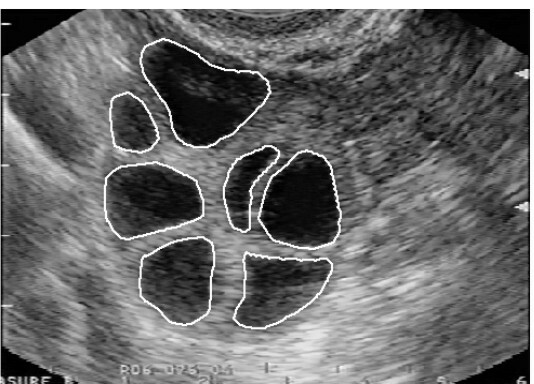 Prof. Vlaisavljević from the Teaching Hospital of Maribor (today’s University Medical Centre), a well-known expert in in-vitro fertilisation, initiated a research on computer-aided analyses of ultrasound images of ovarian follicles. 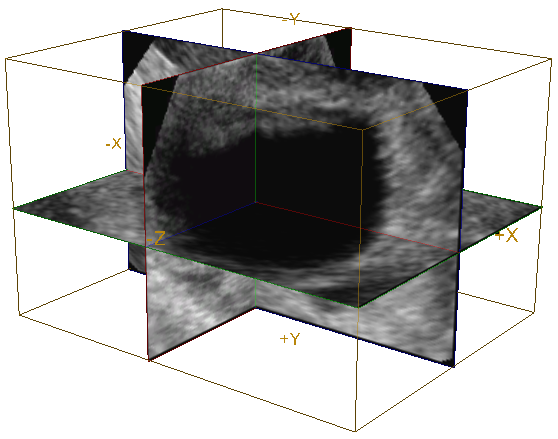 We developed and verified software applications for the detection of follicles in sequences of 2D ovarian images and 3D reconstruction of perifollicular vascularisation. The idea of conceptual learning and its implementation into teaching of physics by computer simulations was brought forth by Professors Zvonko Fazarinc from Palo Alto and Hermann Härtel from Hamburg. With rare enthusiasm and expertise, they drew in many other enthusiasts from all over the United States and Europe first, and elsewhere after a while. In the beginning, HP supported the activity by their computer equipment donations, later on several subprojects emerged based on local funding. We contributed computer simulation programs in the field of medicine, health care, and computer science, which are still hosted by our server, along with Prof. Fazarinc’s applets disclosing the electrical conduction in wires.